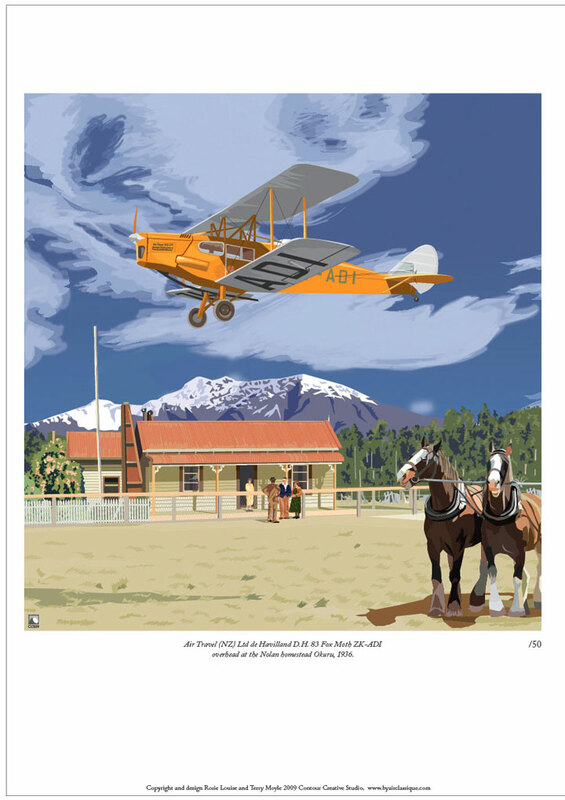 These, colourful depictions of New Zealand Aviation history were created by the studio in November 2009. They are printed on Super A3 sized (320mm x 450mm) quality acid-free art stock. We are selling these at NZ $30.00 each. Postage is NZ $9.00 in a mailing tube, maximum 3 per tube. Contact us direct at contourcreative@xtra.co.nz to order. International customers PAYPAL or cheque (clearance is 21 working days), and postage to be quoted individually. 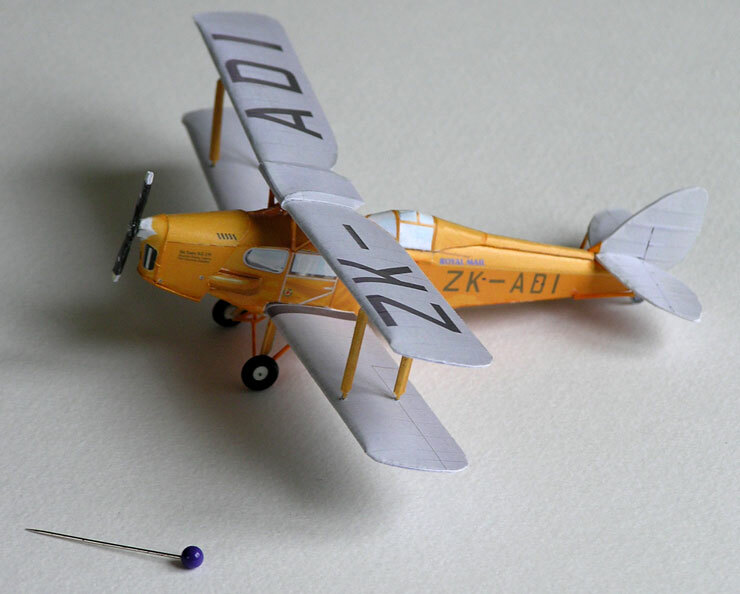 Features the Nolan Homestead circa 1935 with Bert Mercer's D.H. Fox Moth ZK-ADI overhead. Prints are numbered individually and available only in a print run of 50. 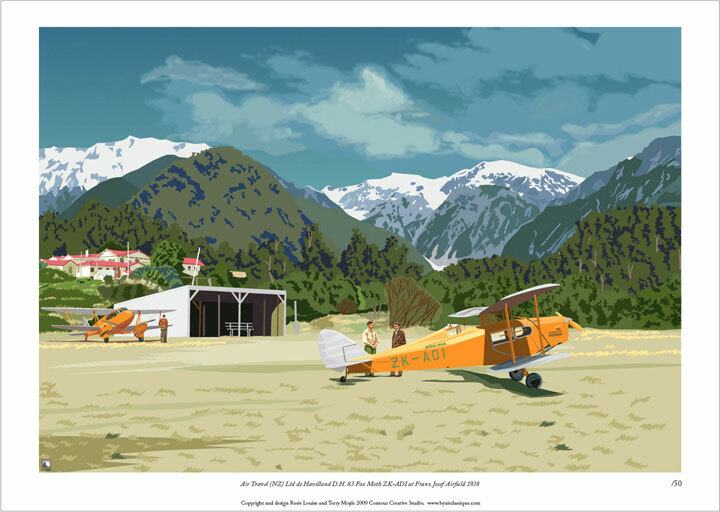 Fox Moth ZK-ADI at the picturesque Franz Josef Aerodrome. Prints are numbered individually and available at a limited print run of 50.
plus $6.00 postage and packing. 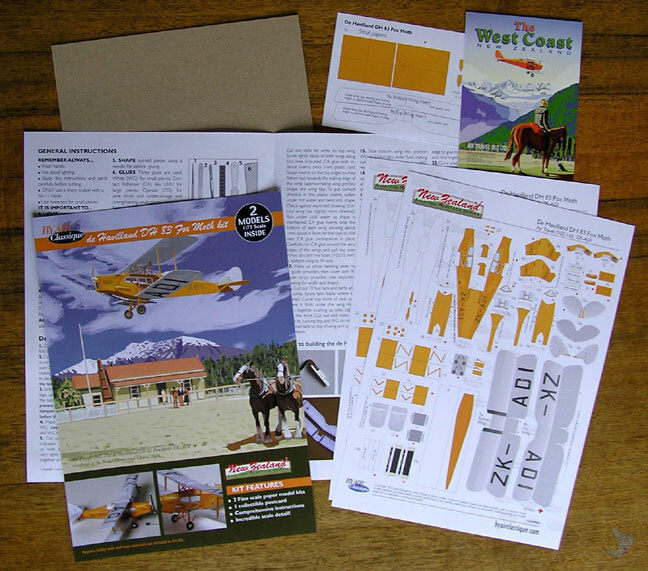 (NZ) $21.00 and postage to be quoted individually. PAYPAL or Cheques (allow 21 working days for clearance). 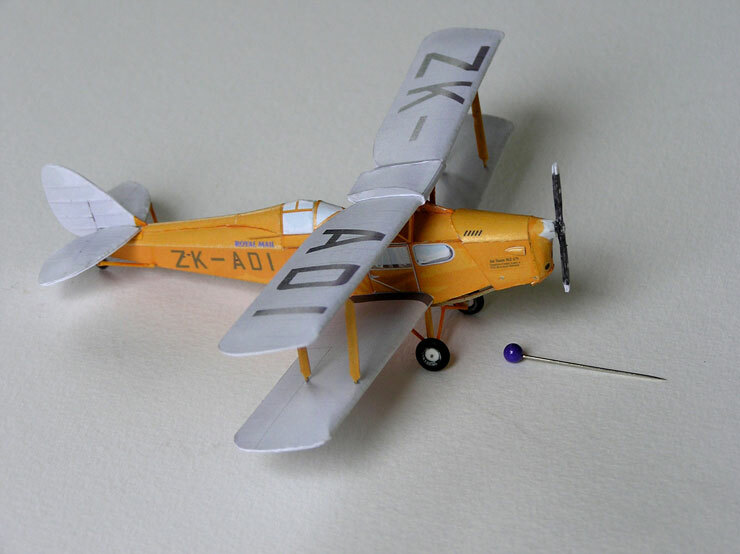 The 1930’s de Havilland DH 83 Fox Moth was a biplane created in response to the depression era need for cheap and simple aircraft able to transport people and freight over short distances. The Fox Moth was a development of the de Havilland DH 82a Tiger Moth, and was developed from the standard Tiger Moth wings, tail, undercarriage and engine mountings. The enclosed cabin could accommodate four passengers on a short journey and three for up to 360 miles. Versions were made as landplanes and float fitted seaplanes, from a total production of 98 aircraft. The Fox Moth was operated principally in the United Kingdom, Australia, Canada and New Zealand. In the latter country the airplane occupied a unique place in that nation’s aviation history by being operation on New Zealand’s first Licensed Airline which inaugurated its service with a flight on December 18, 1934. The company, Air Travel (NZ) Ltd had been established to provide aerial service in New Zealand’s rugged South Westland. Based in Hokitika, the genesis for the company was the purchase of the Canterbury Aero Club’s new Fox Moth in March 1934. It’s qualities and commercial possibilities inspired Bert Mercer, one of the pilots who had been operating scenic flights to the magnificent scenery of the Westland region. Mercer raised finance from individuals and ordered a new Fox Moth from the de Havilland agents in Auckland. The company that would become Air Travel (NZ) Ltd, was registered on May 1, 1934 and the aircraft, ZK ADI, would become that airline’s first aircraft. Fox Moth’s would be a familiar part of the Westland aviation until the mid 1950’s.